Discussion in 'Film & TV On Demand Streaming Services' started by Phil Hinton, Apr 12, 2019 at 1:36 PM. Four new Marvel series, a Star Wars TV series, access to some 500 Disney movies, 7,000 Disney TV episodes, in 4K HDR where possible, and all for $6.99 per month. Yep. I'm in. Hmm.....PS4 would be no good for 4K? Might need a stick of some sort for this. I'm hoping it'll drop onto the smart TV platforms too If I can watch wicked tuna in HD or 4k at the same time as the yanks for £5-£10 per month I'm in too. Spotify premium, Netflix top tier and Disney + with rakuten whenever I want and I'll about have enough there. Why not at that price. Although I don't get the delay in international rollout. They're asking for mass piracy. Can see me signing up if cinema releases get put on there pretty quick after release, can't beat a Disney day when the weather is rubbish outside. Sounds like there should be enough content for kids through the day, and some better stuff for me when they are in bed. Is the picture/sound quality going to be the same as iTunes? In the UK there is a rights deal with Sky that does not expire until 2020, so it’s unlikely to launch here until then. Finally. Forget anything else, but this could well be the first official UK streaming source to actually have The Simpsons available to it on demand. Personally I've held back from buying any Disney releases as of late, mindful of the fact I might well be subscribing to this over the next year or so anyway. As Irony goes, if this does indeed launch on the Apple TV 4K, then this will massively mitigate the lovers tiff Apple and Disney had with 4K iTunes content. I'll be well chuffed to see that little hole plugged finally. $6.99 in the USA, so a fiver in the UK then Nope, I don't expect that either! I will admit I have a gut feeling, it's a planned slightly cheaper cost than your typical $9.99 to start with to get people hooked, then over a few years ramp up the price and hope by then people just stay. Am I alone in suspecting this as a plan? They'll just release it without the Sky content, hardly a big deal. The Sky deal won't include Toy Story 4 and Lion King remake either, so that alone is enough to grab people's attention. They'll just add the remaining license content at a later date. I reckon this will be out in Feb 2020 in the UK. Remember the Netflix catalogue was paper thin and people still signed up for it, there are still plenty of television series, cartoons and hundreds of other films that will be available for everyone. I wonder what the price will be after a while. I hear Netflix are "Experimenting" with price increases. 9.99 is not in itself bad as such, it's just that every company seems to want the same amount, which means it's 9.99 x many services, which is exactly what we don't want. Fragmentation. I'm sure we all want video streaming to be the same as music streaming, and every sane person should want it to be the same. Imagine having to sub to 3, 4 or more music services in order to listen to the albums you like. Marvel and anything Star Wars bore me sh*tless, and unless they start streaming films akin to what the Shudder channel shows then I have no interest. We are very different, I find 'horror' films boring. Sony 65XF9005, Humax FVP-4000T, Sony UBP-X700, Denon X2200W Receiver, Tannoy Eclipse 3 Fronts, Audio Minx12 Rears, Onkyo Dolby Atmos SKH410, Gale 50w Centre, Gale 50w sub, Google Chromecast Audio & Ultra 4K. Mobile: Google Pixel 2XL. Upstairs: Sony 49XF9005, Sony HT-SF200 Soundbar, Sony DVP-S6700, Humax H3. I'm in.... decent starting Price and there will always be something to watch from Disney. Someone I watch on YouTube quit often has a reasonable take on this which I feel has a lot of merit. Yep, I'd be shocked if Netflix Uk prices don't go up in the next 6-9 months, with the higher tier going from 10 to 12 pounds. We will never get to the music streaming experience with video - the structures of the 2 industries are just too wildly different. 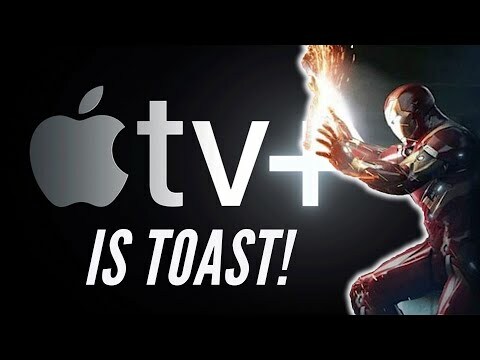 That the studios / content makers are owned by different networks / distributors is too difficult to overcome, and few of these networks were willing to allow Apple (for example) to become a mass market aggregator, despite years of Apple trying. The music labels handing everything over to iTunes back in the day was not hampered by any of this, and they were desperate. The studios / networks aren't desperate to do the same with their video content. Much as it would be nice though, agree with that. How about "Netflix Music" as an idea ? I'm sure it's well within their ability, and they already have a MASSIVE customer base for Netflix video at the moment. They could offer music separately like a Apple Music, Spotify, Google Music type service, and then of course, offer a Video/Music bundle. I'd imagine it would be a quite easy sell, to get current Netflix subscribers to also go for the combined package at a good price. They must have thought about doing this don't you think? indeed, we've gone from a world of bundled content (cable/sat), which consumers felt were too inflexible / bad value, to (soon) a bunch of OTT platforms. View those OTT platforms as super-channels and soon consumers will want bundles again. A certain irony there. But I don't think this transition is pointless - if someone can offer a bundle in the future at a discount, great for those want everything, but for those who want a la carte, that choice will remain. As for music, I doubt it - music works fine. No provider has the incentive from a profit / loss perspective to go down that road. Spotify makes no money as it is, Netflix neither. It's two risky bets rather than one. Apple may offer a Music / Apple + bundle, but their +content is limited as of now. I do feel for those, especially when it comes to live sport, who hanker after the days of free to air sport, but those are long gone and will never return. And for those who watch a lot of sport, its just getting progressively very expensive, and the live sports streaming platforms are still a poor experience compared to Sky for example.